It sounds like a good chunk of your troubles are arising from TS 3.2. Having briefly tried it myself, that's not surprising. From what I can tell of that pof, the reason it wouldn't fire *is* because of that role reversal. Basically, the way you'd set up the turret in terms of pof data (ie, the turrets section in modview's editor) meant that the little cube was the arm and the turret model was the base, while according to the subobject heirarchy, it was the other way around. Without that correct matching object heirarchy, the game probably became confused about how it was to rotate, because it was being told that both parts of the turret were the base, and both were the arm at the same time by different sources. If you now set up the heirarchy the way I showed you in the previous post, all should work correctly. Did it. The main problem was gun gun data entry dupication. For some strange reason that renders normal matching not able to fire, but if you reverse the arm and base in model view it does fire, albiet wrongly. Now that all that confusionis out of the way I got just one more issue. If there a command or proceedure to make 2 extra firing points on either side of the center one, BUT to have them all fire at same time when that turret is to engage? If not that's ok, I will just go back to my multi beam textures. 1) Do what the Aeolus does with the side flak turrets. Go into the turrets section in modview, and create two additional turrets, but get them to use the same turret parts as the first one. If you then have 1 actual firepoint on each of the turrets, it should be able to fire 3 separate beams simultaneously. The other problem with this method is that the beams probably won't fire simultaneously. This can be enforced though if you apply system 2 to it though. 2) Not sure how ideal this one would be either, but you could try SEXPing each of the three-turrets-in-one-mesh to fire a beam at the same time, but this can also work even if you're only using one turret. Basically, if you tell a beam cannon to fire a shot, and then another shot and another shot with no delay between them, all three shots emerge at once from the same cannon. You could try this with the orion's main guns, since it has 3 fire points on each turret. Thanks! I'll try solution#1 as #2 is just too intensive for normal mission use (maybe a cutscene). I tried earlier making 3 firing points on 3 arms in teh same turret (x3 in turret01) only one fired. hey guys, a friend and I designed a new capitol ship for a campaign we are making and we cant figure out how to put textures on it using truespace, nor are we able to import it into POF Constructor Suite to convert it to a pof to test it. 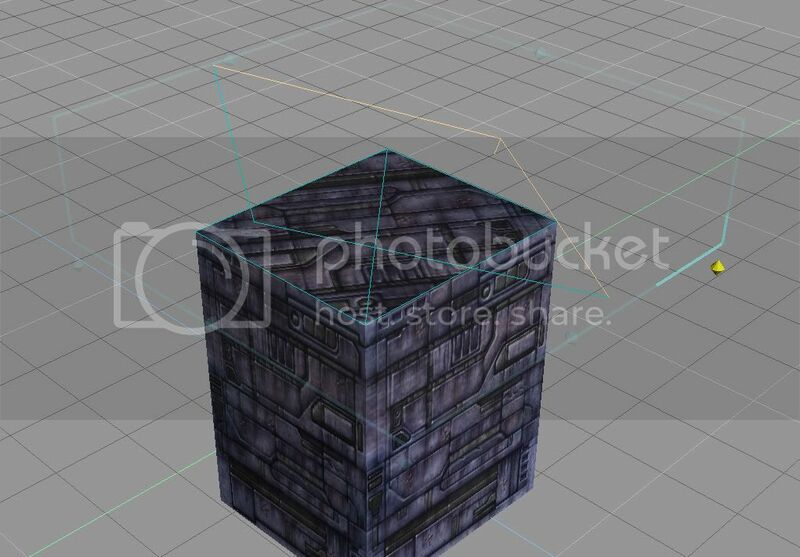 heres some pics below, we could really use some tips or perhaps someone to help us make textures. Well, I'll assume that you're completely new to texturing, so I'll explain the process in that level of detail. If you already know some/most of the stuff, then just skip over it, but if you don't, it's very handy to know how the system works. Ok, there are 3 basic components involved here: the geometry itself, the UV map, and the texture. The geometry is just a number of connected faces (usually triangles) that form your mesh. The texture is a just a regular image. 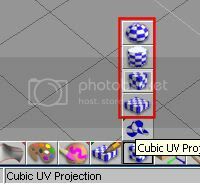 The UV map is what defines _how_ that texture image is to be applied to the geometry - sorta like your wrapping technique defines how wrapping paper (ie, a 2D image) is applied to a present (ie, 3d object). To use this method, first select your ship and apply whichever projection seems to overall suit the shape of the ship. To set this projection, click the mouse icon. Now you need to apply some actual texture(s). and then open up the colour pane (the one with the red line showing it's button in the above pic). Right-click the colour pane (which should initially appear as a colour selector), and from the "Colour Shaders" window that pops up, choose the caligari "texture map". Now you can right-click the colour pane again and select an image you want to use as a texture. To apply this texture to your model, you use the three tools shown on the left of the material editor - flood fill on top, and paint-face and replace sharing the second place (click and hold the button to bring up the list of tools, just like the UV projection tool). Using the paint-face brush, you can paint individual faces with a currently active texture. This is allright to start off with, but you'll soon find that you need more projection flexability. Now, the most advanced form of UV mapping is UV unwrapping (a good tutorial for this can be found here), which involves manipulating the UV projections of individual faces or groups in a program like Lithunwrap, but you'll most likely want in intermediate step to warm up to that level. Remember how you applied a UV projection to your whole selected ship? Well you can do the same thing to individual selected faces, and even better, groups of selected faces. To select faces/groups of faces, right click your model, hold ctrl, and select all the faces that you want to apply a certain type of projection to. Planar usually works best, but it's up to you and what you're selecting. Again, applying a UV projection to those faces will overide whatever the main projection is for them, but it will only do this for those particular faces. It is also still not undoable, so SAVE OFTEN! While this doesn't quite match the flexability and raw efficiency of UV mapping in Lith, it is a fairly good way to learn the concept. Finally, remember not to use too many textures on it overall, as every additional texture on your ship will degrade performance overall. Add a turret to the ship (Check my turreting tutorial in my FAQ for details) or simply glue a light onto the ship. You may also find it easier to use the TrueView extension to drag and drop things into the right hierarchy (Which has the same effect as gluing things). check that link again, its linking to a hard drive.